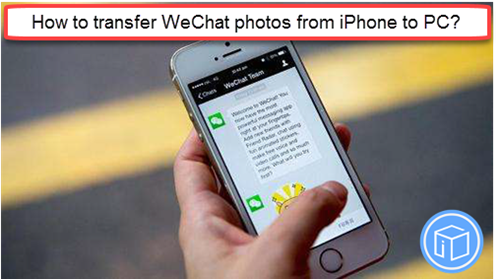 How to transfer WeChat photos from iPhone to PC? I have quite a lot of photos in my WeChat and I would like to transfer them to my Windows computer. I just want to free up room on my iPad. I got a lot of things transferred/shared from iPad to PC but can’t figure out how to do this? One of the best ways to keep your WeChat photos safe is to transfer them from iPhone to your PC. It’s a great way to reduce the possibility of data loss. If your iPhone storage is used up, it’s also a good way to free up more iPhone storage space. Here are two ways may help you. Step three: Import photos to your PC by connecting your device to your computer. You can certainly upload WeChat photos from iPhone to PC by this way. However, if you have plenty of photos, it will take you a lot of time. You may wonder if there is a simple way to do that without wasting so much time. Absolutely yes. 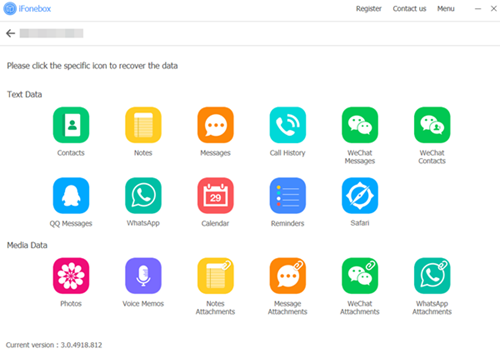 Under the help of iFonebox, you can easily to download WeChat images from iPhone to PC. iFonebox is a handy transferring tool which enables you to preview data in detail before extracting them form device or backup. 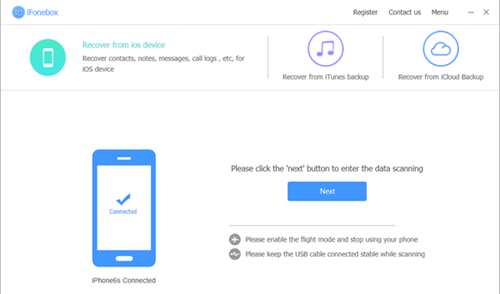 If you have synced your device to iTunes or iCloud before, you’re also allowed to restore data from backup selectively. It sounds cool, right? Before instructions, it’s necessary to download and install the program to your computer, please make sure to download the correct version. You can click “WeChat attachments” icon, it will scan automatically, please wait in this step patiently. Please do not unplug the USB cable in the progress. After the scan finished, it will show you all the existing WeChat pictures on your iPhone, you can choose the photos you want and transfer them to your computer. 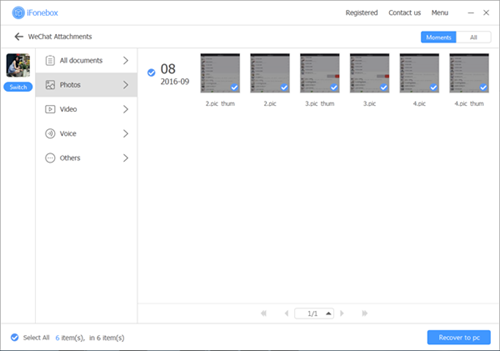 This entry was posted in iPhone, Transfer, WeChat and tagged transfer WeChat photos from iPhone to PC by IosdroneD. Bookmark the permalink.